Get creative & meet new friends every Friday morning in the lovely cafe gallery Alchemy 198 starting on February 1st, 10.30am – 12.30pm. 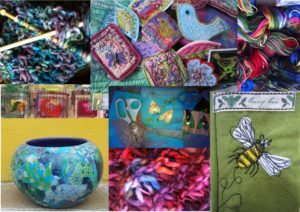 The group is led by Room 212 artist Debby Bird, a textile and art teacher with years of experience teaching all around Bristol. Bring along your unfinished projects or materials to start something new such as knitting, sewing, sketching, or design. Or maybe something to show and tell? Debby can turn her hand to anything creative and is sure to be able to guide you on your creative path. This is an informal drop-in group which could lead to more structured workshops in the Alchemy Downstairs Gallery. 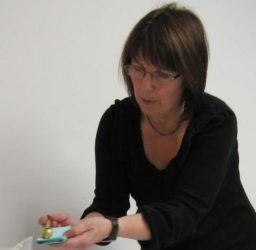 Other Room 212 artists will pop in over time, including owner Sarah Thorp who plans to offer tips on decoupage. Please give £5 to Debby for her time and energy. Alchemy 198 will offer 10% discount to creative clubber on drinks, soups & croque monsieur throughout Friday.